A Brand New 'Hey Arnold!' Movie Is Happening! ’90s kids, prepare to have your morning made! Nickelodeon just released new details about a brand new Hey Arnold! movie called Hey Arnold! : The Jungle Movie. In November, there were rumors that Nickelodeon was thinking about creating a second Hey Arnold! movie with the show’s original creator, Craig Bartlett. At that time, the network approved the script but weren’t sure if they were going to go through with the project. Three months ago, Bartlett confirmed what we were all hoping for in an Instagram post: the two-hour, animated production was a go. We hand’t heard much about it since — until now. Hey Arnold: The Jungle Movie picks up where the series left off. Arnold discovers a map that might be a clue to where his long lost parents are hidden. The map was initially revealed in the final episode of Hey Arnold’s original run, and according to A.V. Club, Nickelodeon had planned to make a movie that revealed what happened to Arnold’s parents, but it never got made. Could it be that Arnold’s parents, who were only seen in flashbacks in the series, aren’t actually dead like we thought? There’s strong evidence to believe this film will give us the answers we’ve been craving for over a decade. Hey Arnold: The Jungle Movie also has a familiar villain. Lasombra, the river pirate and treasure hunter who popped up in the original series’ last episode, will be an important part of the film. Lasombra’s character will be voiced by Spider Man 2’s Alfred Molina. The new film is a total throwback with 19 of the original voice actors signing on to reprise their roles. Helga, Phoebe, Harold, Rhonda, Olga, Mr. Simmons, Grandpa, Grandma, Stella, Eduardo, Ernie, Bob Pataki, Miriam, Big Patty, Coach Wittenberg, and our favorite, the Stoop Kid, will all be voiced by their original actors. Lane Toran and Jamil Smith, who originally voiced Arnold and Gerald respectively, will not be reprising their roles, but rather voicing different characters. Mad Men’s Mason Vale Cotton will voice Arnold, and Benjamin “L’il P-Nut” Flores Jr from Shakers will voice Gerald. 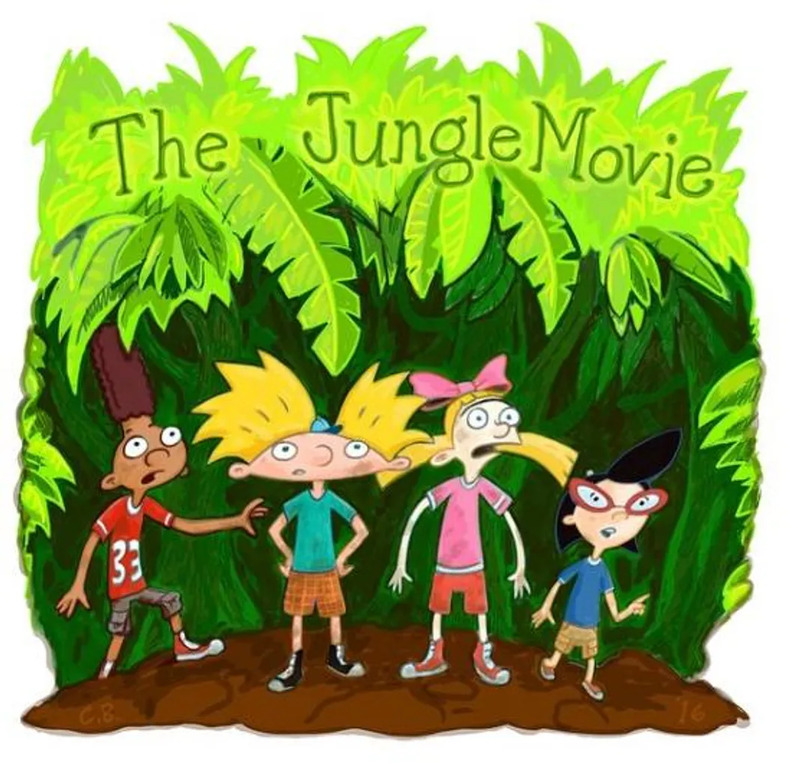 Hey Arnold: The Jungle Movie is slated for a 2017 release, 13 years after the original run of the series ended.